The New Google Nexus 7 is out of the bag now. The Google Nexus 7 made a considerable splash when it arrived last year, certainly one that belied its economical size and limited power. In the process, it scooped our 2012 Gadget of the Year, so it comes as no surprise that Google now wants to follow up with something, not bigger... but definitely better. 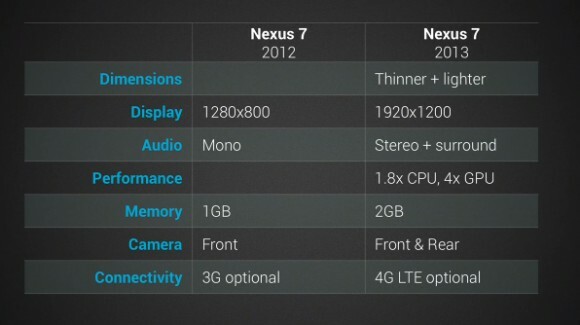 Here I'm going share with you 7 quick reviews relate to New Google Nexus 7. Portability is key when it comes to 7-inch tablets. 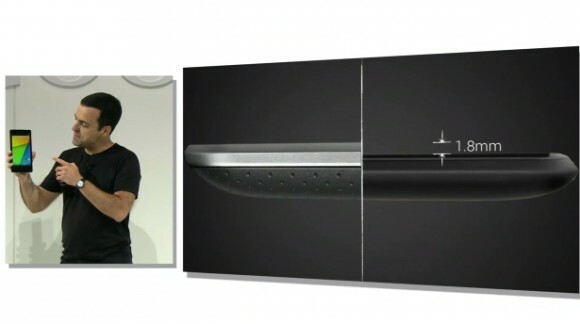 The new model is almost 2mm thinner than the original Nexus 7. The display is the same size, but the side bezels are 2.75mm narrower on each side, making the device a whole 5.5mm thinner. It's also 50 grams lighter. Although these seem like small changes, they could add up to very different feel overall. Thankfully, the soft back has been retained. The Chromebook Pixel showed us that Google is serious about bringing big, bold displays to consumer products. The new Nexus 7 only confirms that, as it lands with a 1920 x 1200 Full HD 1080 display - a first for 7-inch tablets - and packs a whopping 323 pixels per inch. That sort of pixel density puts it on a par with the iPhone 5, far beyond the reaches of the original Nexus 7's puny 216ppi. Google also promises a screen that supports a 30% wider colour ratio - meaning your media will be more brighter and more vivid. The new Nexus 7 has a Quad-core 1.5GHz Snapdragon S4, that itself packs an 80% faster CPU and a GPU that will push your gaming and video framerates up to four times faster. With 2GB RAM in tow, this is the sort of power that again, puts the new Nexus 7 on a par with the latest generation of smartphones and far beyond its predecessor. Cameras are still not the be-all and end-all where tablets are concerned. But Google has adorned the new Nexus 7 with a 1.2MP front-facing camera for video calls and potential selfies, and there's a 5MP camera on the back. 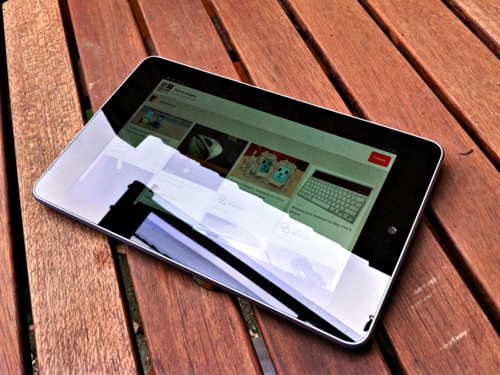 The new Google Nexus 7 doesn't hold back on the connectivity front. As well as the usual microUSB, the updated Nexus also supports HDMI output, NFC, dual-band Wi-Fi, Bluetooth 4.0 and wireless charging. There will be a 4G LTE compatible version. But hold your horses - it's not 100% clear whether this will just be a US option, so keep your fingers crossed. Stereo speakers come built-in with the new Nexus, allowing for reasonable sound output for your media. Google has also been working with Fraunhofer to add virtual 5.1 surround sound to the new tablet, particularly exciting for film buffs. The new Nexus 7 will be the first device to arrive with Android Jelly Bean 4.3 - the next major update to Google's mobile OS. Among other updates and fixes, Jelly Bean 4.3 features upgraded OpenGL - allowing for photo-realistic graphics, and complex dynamic lighting and shadowing for new games. 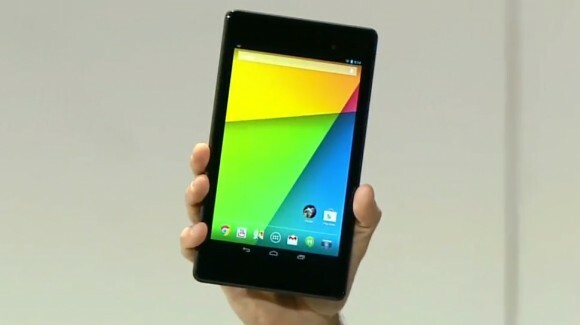 The new Google Nexus 7 will launch in the US on July 30th - priced at $229 for the 16GB version. A 32GB version will cost you $269 while a 4G-LTE connected 32GB variety will go for $349. That's slightly more than the old pricing scheme of the previous generation, but keep in mind you're getting more bang for your technological buck.